To blog, or not to blog…we get this question every day. Our answer 99% of the time is YES, your company needs to have a blog. The blog is not only helpful to your search engine optimization(SEO) goals, but can also make your company the authority in your field or industry. We have the top 3 reasons your company needs a blog below. 1. Drive traffic to your site with keywords and backlinks. Create blogs around topics that use keywords you are trying to rank for in search. For example, if you are a pet sitting business, use the words pet sitting, pet sitter, pet sitting and your city in a blog post to help gain awareness to your business. Give value to the reader in hopes that they will share your content. This is crucial for creating backlinks to your website. For the pet sitting business, use your blog to share fun pet events every month with your readers in your area. This brings more traffic to your site and in turn gains relevance with google for future visitors to your site. 2. Increase lead generation from your website. Your website should be your top lead generation source for your company. Incorporate lead forms into your blog posts offering readers a reason to get in touch with you. Offer a free evaluation, consultation, download, etc. Businesses with websites that post regularly to their blog receive more leads on average than websites without a blog. 3. Show the personality of your company. Think of your company blog as the first impression a person may have of your business. With the rise of social media, people are choosing who they do business with based on photos, websites and recommendations on social media. Let your company blog show the personality and “behind the scenes” of your business. Blogging is a great addition to your company website. Be sure to decide how often you will post, who will write the content and take the photos to share on your blog. Be realistic with your goals. A company who publishes at least once a month can still see great results. We offer blog creation and blog maintenance to keep your blog up to date. 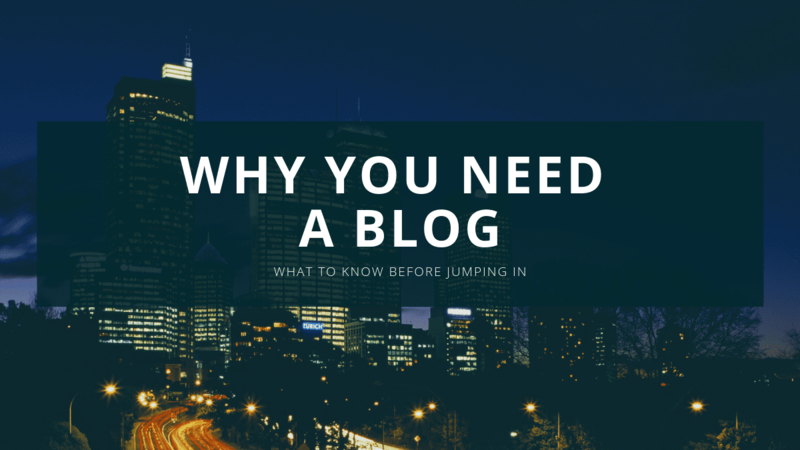 Are you ready to add a blog to your website? Fill out the form below to get started!